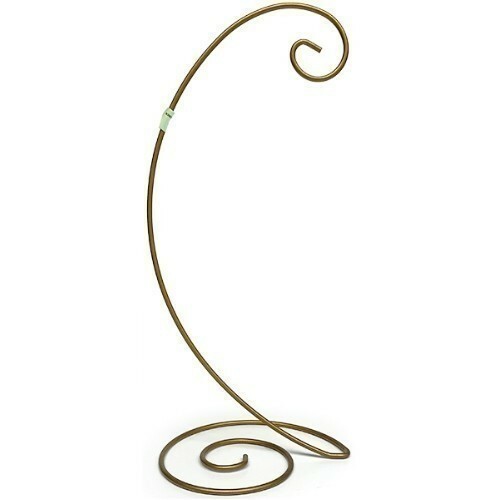 This Spiral Bottom Ornament Stand is a modern elegant way to display ornaments, crystals or jewelry. Features a fun whimsical spiral base. 13"h; 10" hanging height; holds ornaments up to 1lb.